This Week's Drawing - A Beasty Story by Bill Martin Jr.
Just post "I want to be entered" here to be eligible to win, A Beasty Story by Bill Martin Jr. Leave a way for me to get in contact with you! 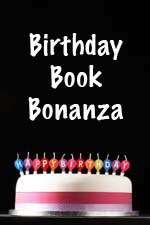 Don't forget to refer, Happy Birthday Author, to a friend to receive an additional entry. Winner will be announced Monday, March 22. My grandson has two hamsters. I'm sure he would love this book! Thank you for the giveaway! I want to be entered to win A Beasty Story! (jahmelby@yahoo.com) Thanks! I want to be entered and I have also shared your blog with quite a few people this week. Including some parents who are homeschooling their children. My son would love this! I want to be entered. Thank you for the giveaway. This contest is now closed. Congratulations Kristie for winning A Beasty Story by Bill Martin Jr.